Singapore 2017 Grab Promo Codes - use first and thank us later! Here are all the Singapore 2017 Grab Promo Codes for December. This list is updated weekly! While we do our best to keep this page updated and as accurate as possible, offers featured may change at the discretion of merchants. Do verify these Singapore 2017 Grab promo codes with Grab. Enter the code GH2 and get $2 taken off your fare price. Promo code valid till 17 Dec, for rides with minimum fare amount of $7. Valid with grab pay only. Just got a new Android device? Here’s your chance to get up to S$32 in Grab savings. Download Android Pay and link your DBS/POSB Mastercard card to the account. Then make 3 in-store, contactless payments using Android Pay within a week, and you’ll be eligible for an S$8 Grab voucher code. Repeat up to a maximum of 4 times per account, and get a maximum of S$32 in Grab savings! Another way to get savings is to buy Grab vouchers at a discount, then use them to pay for your ride. You can do that at Wogi, which is offering 15% discount on Grab vouchers till 31 Dec 2017. For your convenience, Grab vouchers are multiple denominations: S$5, S$10 and S$15. This also makes for a great Christmas gift! For a limited time only, you can earn S$10 Grab Credit when you use the SingaporeAir mobile app to plan your travels. Once you input your flight into the app, you’ll get the option to book a Grab ride within 7 days of your departure. And when you do, you’ll be rewarded with S$10 Grab Credits. New Grab users in Singapore get S$10 off their very first ride with the promo code SGMAP. New GrabShuttle riders get 3 rides FREE! All you have to do is to download the GrabShuttle app (it’s a different one from the regular Grab app), register as a new rider, and use the code GRABSHUTTLE. GrabShuttle Plus is a ride-hailing service that will bring you from any one bus stop to another – provided they are both located within Punggol. Get 4 rides absolutely free when you enter the promo code SHUTTLEPLUS. Take $4 off your first Hitch ride. Enter promo code FIRST4 and select GrabPay. For first time Hitch users only. 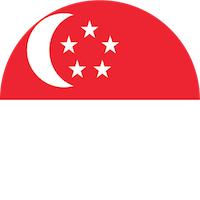 Did you enjoy this article about Singapore 2017 Grab Promo Codes? If you have a Singapore 2017 Grab Promo Code that we missed out please leave it in the comment section below.